Get Your Dose of D.M. Today! Deadtime Stories is a three volume compilation of late night tales of danger, intrigue, and suspense where not everyone is who (or what) they seem. These short fiction thrillers explore the darker side of human (and not so human) nature and provide just enough goose-bumps to keep readers wanting more. 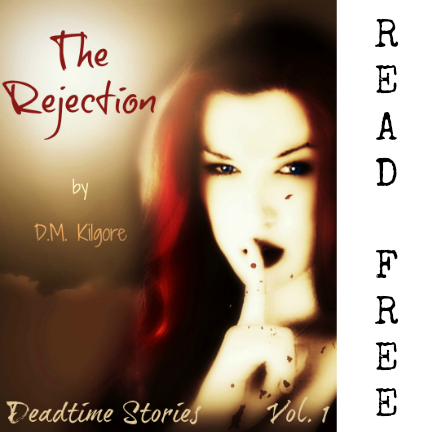 "The Rejection" is the first story in Volume 1, and asks readers "How well do you handle rejection?" Flash Fiction With A Dark Side, by D.M. Kilgore. Enter The Realm of D.M. Kilgore ... If You Dare! Heart-stopping chills, thrills, and suspense collide with unexpected passions and unpredictable dangers. Brace for Impact! Grab some fun tees and hoodies from The Realm of D.M. 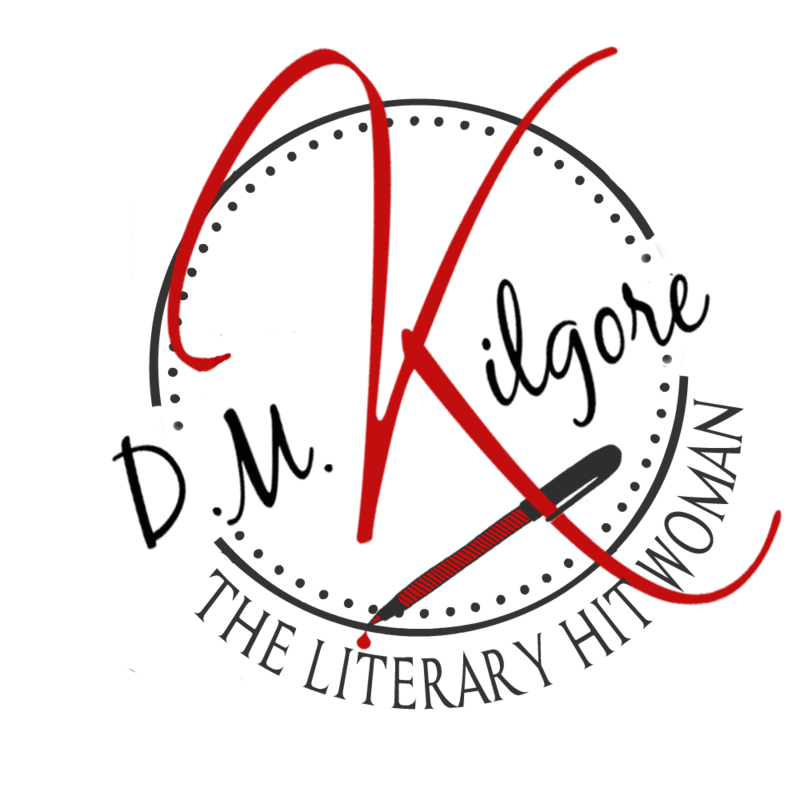 Kilgore- Writer & Literary Hitwoman. 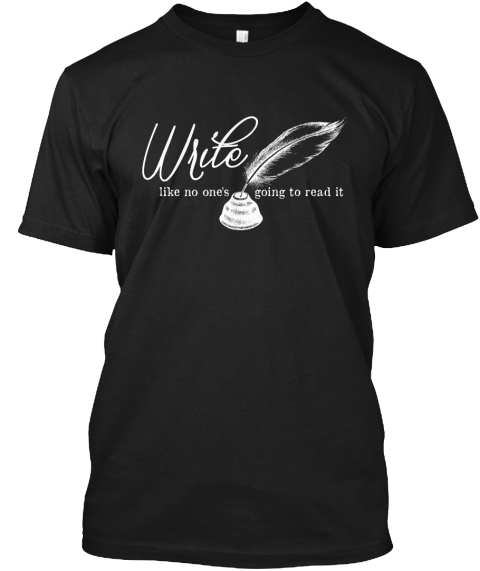 Gifts and goodies for writers, readers, and fans! © D.M. 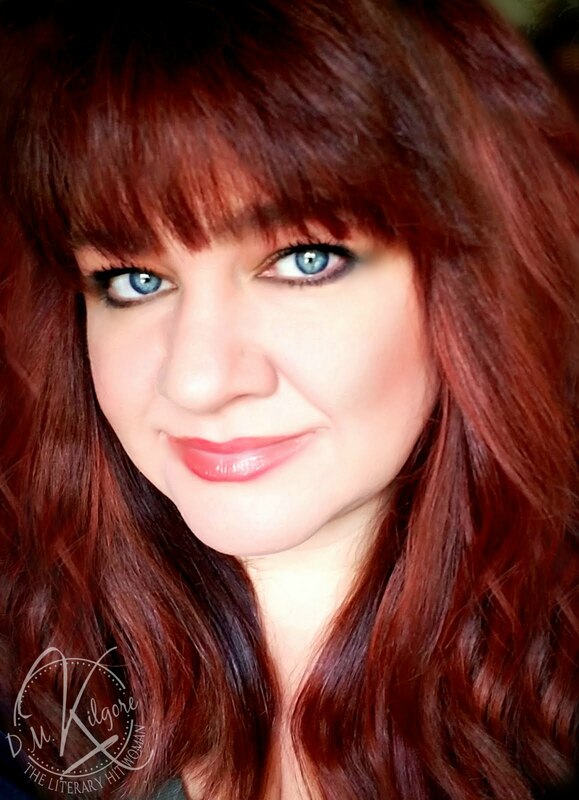 Kilgore, and Phoenix Realm Publications LLC, 2012-2016. Unauthorized use and/or duplication of this material without express and written permission from this site’s author and/or owner is strictly prohibited. Excerpts and links may be used, provided that full and clear credit is given to D.M. Kilgore with appropriate and specific direction to the original content. We reserve the right to request any duplication of its material be taken down immediately. A Phoenix Realm Publication. Powered by Blogger.